Traditionally used by shepherds so they could keep an eye on their flock day and night, Shepherd’s huts date back to the 16th century. The interior was simply furnished and warmed by a small cast iron stove. Our Shepherd’s Huts are sustainable and beautifully made by English craftsmen to reflect the style of a 19th century Victorian hut. They provide a wonderful alternative to camping in a tent. Romantic and cosy, Shepherd’s huts are the perfect place to snuggle up after a day enjoying the fresh Cumbrian air. We have two Shepherd's Huts at Church Stile, “The Hogget” and “The Shearling”. 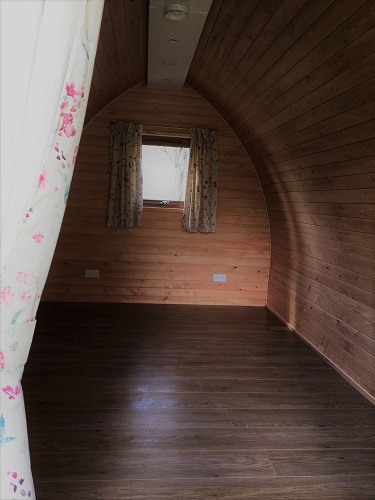 Our Shepherd’s Huts sleep 2 people and each hut is stylishly furnished and contains a sofa which converts to a double bed as well as a wood-burning stove for keeping warm on chilly nights (wood is provided). There is a kettle to make a pot of tea on the woodburner as well as cups, plates, bowls and cutlery. All linen with the exception of towels is provided. The huts have rechargeable lanterns to provide lighting. The shower block is nearby with hot showers, toilets, laundry and washing up facilities. There is now electricity in the huts. A firepit/bbq and outdoor furniture is provided for each hut so you can enjoy the breathtaking views and surrounding woodlands and wildlife. So if you like the great outdoors, but want a little bit of luxury then give our Shepherd’s huts a try! A coolbox is useful in the summer. We now have 2 Camping Pods at Church Stile. The camping pods are timber built and insulated, taking away the stress of packing and unpacking a tent. The family pods can comfortably sleep a maximum of 3 adults or 2 adults and 2 children (dimensions 2.7m x 4.4m) and have double glazed doors and window, electricity and a wall heater. The pods are completely empty so you will need to bring camping gear, minus the tent. However, there is a picnic bench outside the pod. Pets are allowed in the huts and there is a £5 supplement for dogs. Check-in is after 2pm, until last arrivals at 8pm. Check-out is by 11am. Easily find us using our interactive location map and route planner. 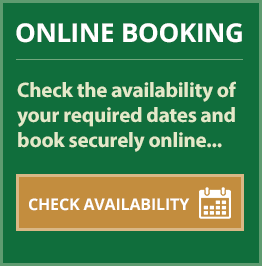 Please refer to our Terms & Conditions page for our booking and hire terms and conditions.